This year, Sapfo Collective will organize the fourth SapfoFest: a free three-day festival, which takes place from the 17th – 19th of July in Vilnius. The festival will have a broad program including education, arts and sports. Sapfo Collective is a volunteer-based community initiative, comprised of 14 human rights activists from various backgrounds. 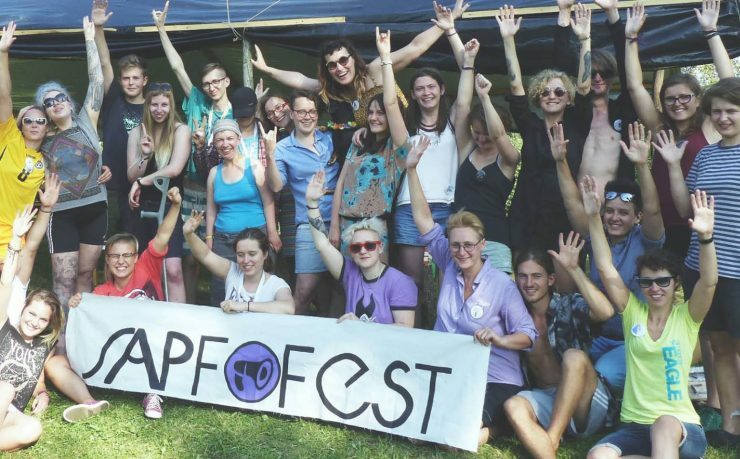 The collective wants to empower the LGBT community and fight discrimination in Lithuania and surrounding Eastern European countries by organizing SapfoFest and knowledge sharing. About 250 participants attended the festival last year and the organization aims to exceed this number in the upcoming edition.